In a place like Texas, the battle to be the best when it comes to steak is a fairly heated one (pun intended). In San Antonio, which of the numerous steakhouses come out on top? See for yourself in this ranking, which may change from time to time as more steakhouses appear to be opening up all the time. Billing itself as both a steakhouse and a wine bar, Fleming's has both private and event dining available. Though they are too pricey for some, they do have specials like 25% off the cost of a full bottle wine and Tuesdays and a $99 dinner for two special. The downtown area has several steakhouses but Bohannon's stands out for several reasons. Their seafood is arguably as good as the steaks and their decor is quite fancy. Even the bathrooms have rose petals in the sinks. Brazilian steakhouses are all the rage, and nobody does it better in San Antonio than Fogo de Chao. The focus here is on 'churrasco' which is ​a Brazilian BBQ steak that is popular in the Southern area of the country. Available for both dining and catering, Kirby's Steakhouse has just five locations in all of Texas, and once you eat their aged prime cuts you will understand how lucky San Antonio is to have one of those locations. A Critic's Choice winner from the local paper, Morton's sits on the River Walk and caters to both diners and executives alike. They boast three boardroom dining areas for businesses and a bar that is open until 11:00 p.m. each night along with the dining areas. Though several of the steakhouses on this list are formal or semi-formal places, there is definitely room for a place that bills itself as having down-home country cooking. The casual atmosphere should not make you think that the food is low quality. Great cuts of steak cooked to perfection and a home cooking menu with something for everyone are the hallmarks of Barn Door. Though some may complain that Saltgrass is a 'generic' steakhouse because it's a national chain, that doesn't mean that they are not good. Though it is great to take pride in locally-owned steakhouses, it is also great to give credit where credit is due. 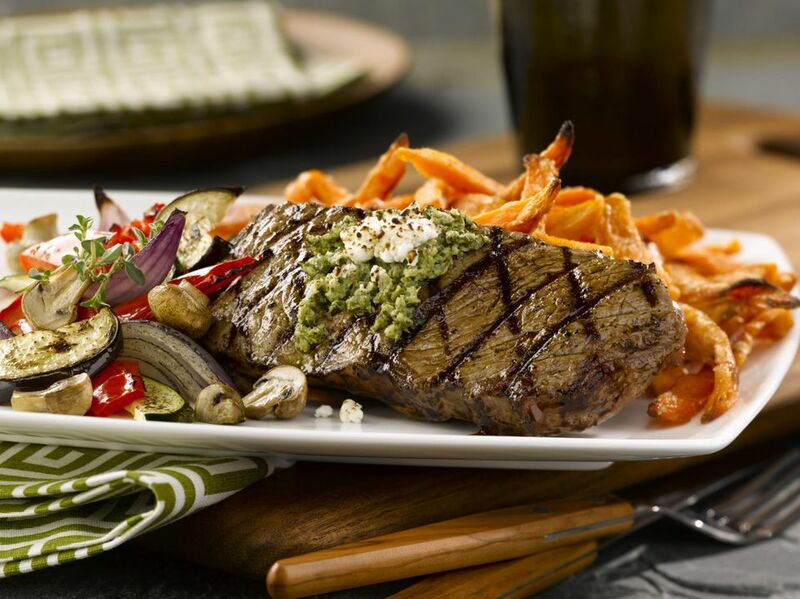 Saltgrass offers a laid-back and affordable alternative to the higher-priced steakhouses. Oh, and they make a darn good steak, too. The Palm offers a little more than the average steakhouse. In addition to prime cuts and seafood, they also offer what they refer to as 'heritage Italian' dishes. Part of a larger chain that began in New York City, they have an e-mail list you can sign up for to keep you abreast of specials. Three-course meals and seasonal choices are on the menu at this national chain. They have been in business for over forty years and recently shared some recipes in honor of the anniversary on their website. Don't let this stop you though from trying their butter seared steaks, which are fantastic.